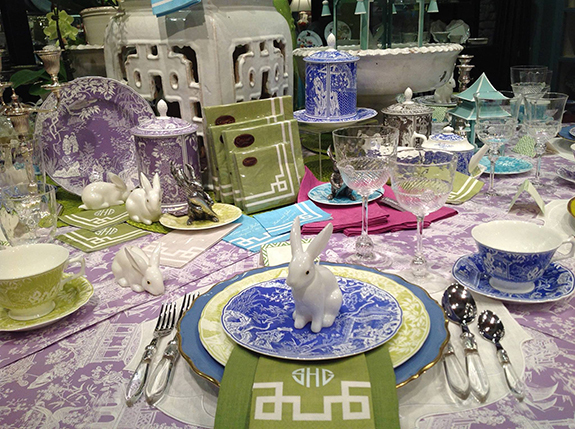 Easter table inspiration from Caspari. Lavender toile and spring green! Perfect for my dining room. And I love the little bunnies and that peek of a turquoise pagoda. The Caspari stylists at their flagship in Charlottesville are masters at layering their finery to create these bananas tablescapes...it's a pilgrimage all Chinoiserie lovers must make. After putting off Easter plans, turns out brunch is at my place! Love an excuse to put together a last minute table to share with family. Hope you have a wonderful Easter if you are celebrating. 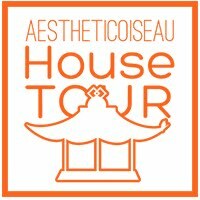 See you next week! Have been watching your blog for awhile and I really enjoy watching your style evolve. You have a wonderful eye for color and balance. Lavender toile, oh my. Everything they do at Caspari is spectacular. Happy Easter!